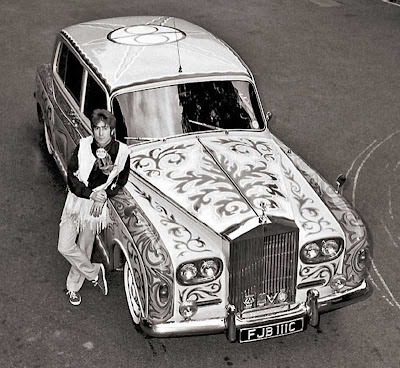 John Lennon's 1965 Rolls Royce Phantom V is a bit of a famous car. 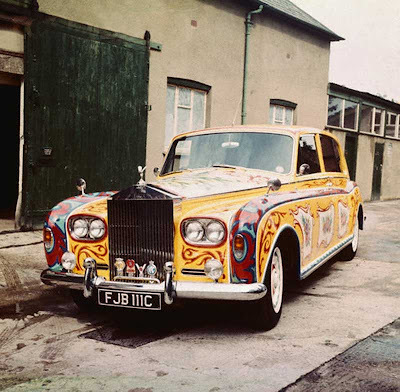 Yellow submarine alright! It does the museum circuit in North America and held the title as the most expensive car in history for quite a long time after it was sold at auction in 1985 for US$2,299,000. Here is a video. The detailing on the roof is not often shown. 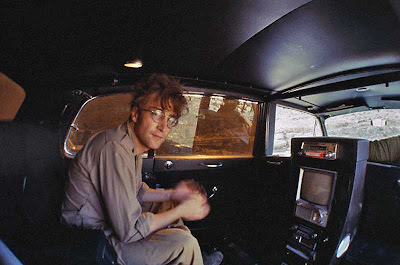 And the interior with the then owner. The rear seats fold into a bed, mostly likely made by Harold Radford. 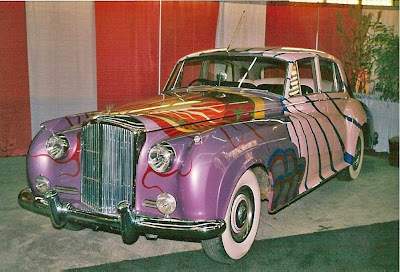 What is a bit less well known is that John Lennon also owned a 1958 Bentley S1 is just as exciting colour scheme. 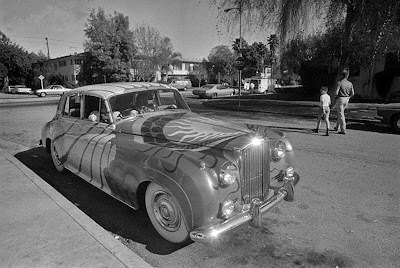 The Bentley S1 was auctioned in 2000, and now also resides in a museum in North America. Thanks to Mikael for the tip. My girlfriend and I rode in the car to a concert in Seattle back in High School. I still have the pictures. The band was a cover band and was called "Rain, A tribute to the Beatles". What a beautiful car.